From columnist and critic Alana Massey, a collection of essays examining the intersection of the personal with pop culture through the lives of pivotal female figures—from Sylvia Plath to Britney Spears. Massey makes no secret of the fact that she reveres her subjects. The fact that she has a master’s in religion from Yale Divinity School lends weight and nuance to her discussions of the culturally deified ... Massey is refreshingly unapologetic about the low points of her own past, which includes a history of patchily-treated mental illness and eating disorders. She writes about her work as a stripper with unemotional frankness, discussing the labor conditions the way she might any other job. Massey engages lovingly but thoughtfully with the lives and work of her subjects, and she offers herself the same even-handed treatment ... Massey write(s) into history a tradition of female cultural and personal experience previously absent from the record. Each meditation reads much like an online essay: trenchant in places but in need of a ruthless edit, loosely researched, with individual lines ripe for tweetability and a stomach punch of a kicker. Massey is best when she pinpoints the particular viscousness of living under patriarchy ... But many of Massey’s best points are swallowed by their extension to too many celebrities in too little space. As a result, she does a lot of telling the audience, in finely wrought, declarative sentences, how female celebrities have been mistreated by the world that venerated them — but does very little showing how that came to pass ... 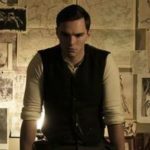 Which isn’t to suggest there’s no place for women to write analysis, or fiction, or whatever they please — just that Massey’s particular voice works best when sharpened to a point, tilling the raw ground of the personal. Together the chapters add up to more than a lived trajectory: They are an argument for girls’ complicated selfhood and underrated power, an examination of the ways in which female celebrities have been misrepresented and reclaimed ... Massey seems to aspire to a kind of complicated soulfulness. Her prose is measured and cool ... Massey’s concentration and fierceness make her compelling. But her insistence on intellectualizing so-called lowbrow culture can also feel performative, as if she believes only she can see the shattered beauty that attends certain pop stars or has the courage to defend mopey teenage girls. Surely that is too harsh. Yet I couldn’t help reacting to All the Lives I Want with a peculiar mix of absorption, curiosity, and not buying it. 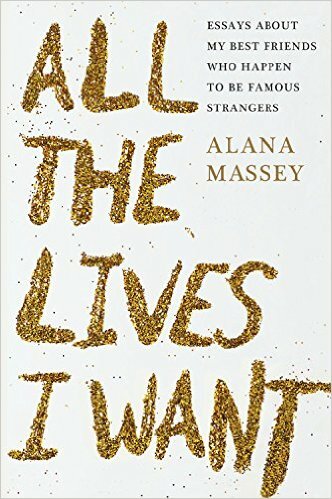 What did you think of All the Lives I Want: Essays About My Best Friends Who Happen to Be Famous Strangers?